It’s really tough to do a Merkur Futur review. It’s such a mixed bag. More importantly, I really want to love it. I mean, if you can control it, this thing shaves like a dream. It has no problem shaving two, three or even four days’ worth of growth. The Merkur Futur burns through stubble like a friggin riding lawnmower. But the design definitely leaves something to be desired. Some people love it, and some people hate it. At the very least, it’s different. Now, let’s get into some of the details. Merker Futur razors are seriously solid shaving tools and boy are they hefty enough to sheer through the thickest of stubble with the greatest of ease. Don’t let is monster size fool you though because it is a razor that is made for all skin types and shaving skill levels. If this is your first time using a megolith like the Merkur Futur, have no fear because we are going to walk you through exactly how to use. You may experience some cuts and nicks in the beginning, but that is a totally normal part of the learning curve that will subside over time. Let’s get to right it and find out how to use this thing! Always take a shower or hang out under a hot wash cloth before you shave your face. This is the best, first step to prime your skin for what it is going to endure. The hot water from the shower or towel will help to open your pores, which brings the whiskers up more in preparation to meet the razor. The moisture from the shower/wash cloth will also soften the hairs and skin. Add a bit of pre-shave oil now in a circular motion now as well. Now that your face is nicely primed, you are ready to whip up your lather with your favorite shaving cream or soap along with a brush to assist. You can place the lather over the pre-shave oil without an issue, but do make sure to wash your hands before handling the Merkur Futur so it doesn’t slip. Be sure to adjust the Merkur Futur razor to accommodate the type of skin you have and to the level of hair growth that you are currently sporting. These settings will determine the degree of the gap between the blade. For example: setting 1 means that there is a small gap and less skin is exposed, whereas setting 6 means that the gap is large and a more aggro shave will take place that is suitable for our bearded friends. You’re ready for that razor to meet your face now! Don’t be nervous. Just take your time and remember that you want to shave with the grain of your hair. Rinse the Merkur Futur frequently to keep it free of hair and lather build up. Use short and very gentle strokes around your upper lip, under your lower lip and on your chin. The standard of going with the grain remains the same here too. Take it slow and you’ll be clean shaven in no time. Once you have shaved everything that needs to be shaved, splash some hot water on your face and neck to get all the remaining lather off. You can wrap up your shaving routine with a quick towel dry of your face and apply a small pat of aftershave on the areas that need it. Don’t forget to properly clean up your Merkur Futur by running it under water and allowing it to air dry in a safety razor stand. Remember to change out the blades in your razor every four shaves of so to keep up with the best shave possible. Let’s talk about the elephant in the room: the size and design. I really hate to lead the review with a big fat negative, but it just has to be said. The Futur is one of the biggest razors out there. I believe it’s the second biggest next to the Merkur Vision (but correct me if I’m wrong!). Now, part of finding the right razor for you is finding the right size for your hands. And a lot of the reason I’m not a fan of this razor is that it’s just way too big for me. However, I understand that it may be perfect for bigger guys with bigger hands. I totally get that. 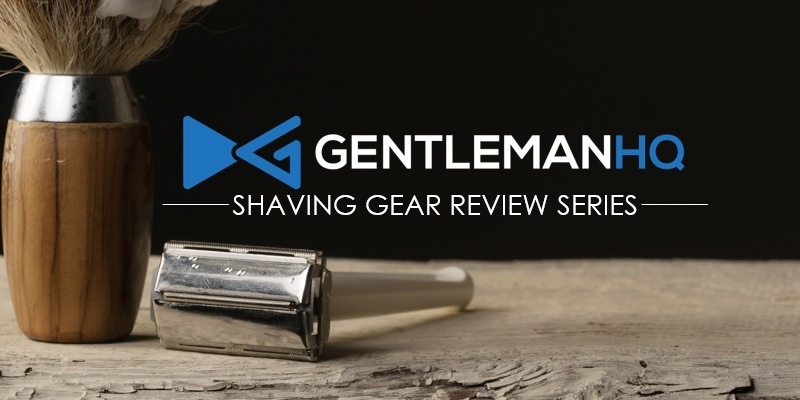 I also understand my review is a little biased because I’m an average-sized guy with average-sized hands reviewing a razor made for, like, Paul Bunyan or something. So take what I have to say here with a grain of salt. Still, shaving with this razor is like shaving with a baseball bat. When shaving with a normal-sized razor, I usually grip with my thumb and three or four fingers – almost like a pencil. I find it gives me a lot of control and a lighter touch. That’s impossible with the Merkur Futur. You pretty much have to hold this thing like you’d hold a beer. And, because you have to kung-fu-grip it, it makes it hard to really let the razor do its thing. And it’s certainly more difficult to get the angles you need to shave without cutting yourself. Long story short, it’s really big. There are lots of great things about this razor, but unless you’re a really big guy, you might consider passing on it for that reason alone. On to some good news: the shave! Now that the size thing is out of the way, let’s talk about the shave, which is truly extra ordinary. First, the weight of the razor is 4.8 ounces. That’s pretty heavy as far as razors go. It also means that you shouldn’t really have to pull at all; the razor will do most of the work for you. It also features a fully adjustable head. So, there are six different settings on the head. The higher you go, the more blade is exposed. So you can really control how aggressive you want your shave to be. If you want to take full advantage of this beast of a razor and shave after you’ve got a couple days’ worth of growth, we recommend starting on a high setting and gradually reducing the setting with each pass. Everyone’s face is different, of course, but when you find the setting’s that work for you, you should be able to get a very, very close shave. However, like I mentioned above, the razor is just so big, it can be hard to handle. It’s more or less like a light saber: not everyone was born to shave with this razor, but if you can wield it, it can cut through pretty much anything. The design is also a mixed bag. Aesthetically, it’s one of the ugliest razors I’ve ever seen. Functionally, though, it’s an engineering masterpiece. And ergonomically, it’s pretty mediocre. So, like with everything else, the Merkur Futur is all over the map. Aesthetics. We’ve said this many times: shaving is an experience. And a major part of that experience is style. Stuff like looks and packaging and design really do matter. That’s why it’s such a shame the Merkur Futur is so ugly. It looks like a wrench or something. I’m not a fan. Functionality. We covered most of this in the shaving section, but so many aspects of this design are just really great. Most notably, the adjustable settings are fantastic and make for a very close shave. Ergonomics. Aside from just being big, the ergonomics are mostly unremarkable. The razor has a large, bulb-type handle, which is slightly awkward. Whether or not we’d recommend the Merkur Futur mostly depends on what you want out of your shave. If you don’t care anything else besides getting the closest possible shave, and you’re a pretty big dude, we would definitely recommend you give this razor a whirl. However, if you’re like me, and you put a lot of stock into the experience of shaving, you may want to hold out for something else. Even if you’re a big guy, there are plenty of other razors out there. For example, Merkur makes an excellent long-handled razor that works just as well and doesn’t look as much like a tire jack. So what’s the absolute bottom line? The Merkur Futur is ugly, but it gives a damn good shave.